On one of the Syrian threads last week long-standing PB regular, Sean Fear, announced that he’d switched from the Tories to UKIP. Sean’s relationship with the site is a long one. Back in 2004 he became just about the first regular Tory poster here at a time when the threads were totally dominated dominated by Labour supporters. He built up a great reputation for his courtesy, his detailed knowledge of elections and his first hand experience of campaigning going back to his student days. Sean knows what’s involved in winning elections and he’s good at it. All of this was was reflected in his comments and in the regular guest spot “Sean Fear on Friday” that appeared on PB for several years. He’s also been a councillor and was on the CON list for the Greater London Assembly. Facing an election when the ground war could be critical in the marginals the Tories can ill afford to lose someone with Sean’s great commitment and expertise. Over the past few years Sean has become a personal friend as well as my solicitor. We have talked politics a lot and this move does not surprise me. I don’t know whether Sean harbours parliamentary ambitions but he’d make a good MP. 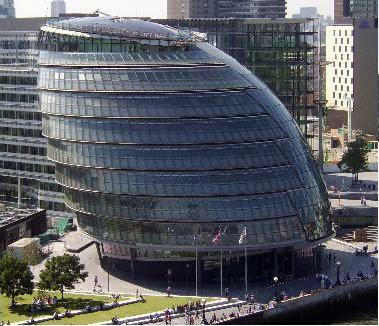 The London Mayoral election was closer than expected. Boris Johnson finished up beating Ken Livingstone by 44% to 40% on first preferences, and by 51.5 to 48.5% on second preferences. This was closer than the polls had predicted. It was nonetheless, an impressive performance for Johnson to hold on, when Labour were making sweeping gains across the country. Johnson is almost unique among Conservatives, in being able to appeal strongly to both core Conservatives, and Liberal Democrats. He performed strongly in safe Conservative boroughs, achieving a first preference result of 69% in Kensington & Chelsea, 62% in Bromley and Bexley combined, 62% in Havering, 57% in Westminster, and 55% in Barnet, Hammersmith & Fulham, and Wandsworth. But, he also performed extremely well in areas of Liberal Democrat local government strength, winning 61% in Richmond, 56% in Sutton, and 55% in Kingston. Notably, Richmond and Kingston were both carried by Livingstone in 2000, and 2004. At the same time, he achieved 30% in Islington, and (excluding postal votes, which would likely increase his share) 31% in the constituency of Hornsey& Wood Green, and 33% in Southwark and Bermondsey. Without any doubt, it was a most impressive performance. Yet, Londonâ€™s vote was polarised. Livingstone had enormous support in much of London, particularly in areas with large ethnic minority populations, and large numbers of public sector workers and tenants of social housing. In Newham, he took 72% of the first preference vote, winning 75%+ in eight wards; 60% in Hackney, 59% in Tower Hamlets, and 54% in each of Brent, Barking & Dagenham, and Haringey. In Brent Central, he took 60% of the first preference vote; in Tottenham, 67%. There were two significant exceptions to his general support among ethnic minority voters; namely Indian voters in North West London (Johnson comfortably outpolled Livingstone in Harrow), and, unsurprisingly, Jewish voters (Johnson won some enormous vote shares in heavily Jewish wards in North London). The extent of the polarisation is shown by the fact that every single ward in London was carried either by Johnson or Livingstone (and indeed, by the Conservative and Labour parties at list level). Fortunately for Johnson, he had just that extra bit of support over Livingstone. At Assembly level, the Conservatives and Labour were dominant. They took 21 out of 25 seats, and at list level, saw their combined support rise from 62% in 2008 to 73% this time. Labourâ€™s vote share rose by 14%, to 41%, compared to 2008, in line with the natural picture, giving the party 12 seats, but the Conservatives did very well to limit the decline in their vote share to 3%, and to retain 9 seats. I would put that down both to Johnsonâ€™s own popularity carrying through to Conservative assembly candidates, and to the fact that there is an unshakeable Conservative core vote of about 30% in the capital (even in the mid-1990â€™s Conservative support never fell below 31% in London local elections). The Green Party performed creditably at both Mayoral and Assembly level, with Jenny Jones achieving third place, and the party retaining two seats on the Assembly. This bodes well for the London Borough Elections in 2014. The previous set of elections, in 2010 saw the Green vote being swamped by the general election turnout, but the next round of elections should see them making gains in boroughs like Lewisham, Islington, and Camden. By contrast, the Liberal Democrat performance was terrible. They were beaten into fourth place in both the Mayoral, and Assembly contests. In the former, their vote share fell by 5.6%, compared to 2008; in the latter, by 4.6%. In both cases, their vote share is down by 10%, compared to 2004. The party was reduced to 2 seats on the Assembly (compared to 5 in 2004). It failed to carry a single London ward, and was reduced to third place in Richmond, Sutton, and Kingston, and fourth place in Haringey and Islington. There must be some doubt whether the Party can retain a single council in 2014. Sean Fear asks: Why’s only one pollster got Labour in the 40s? Surely the party of the Two Eds should be miles ahead? Something curious is happening in British politics. The economy is weak, unemployment is running at 2.5m, and significant, and unpopular, cuts in public spending are being pushed through. In such a situation, one would expect the Opposition to have opened up a big lead in opinion polls, and to make sweeping gains in local elections. In the run up to the last election, plenty of commentators expected the new government to become one of the most unpopular in history. Yet, this hasnâ€™t happened. For several months now, the average Labour lead over the Conservatives has been in the range of 3-5%, and the partyâ€™s performance in local elections was distinctly underwhelming. Although Labour would certainly win an overall majority if the result of the next election matched current polling, in practice, that is most unlikely to occur. Governments tend to gain ground as the election approaches, as voters start to compare the devil they know with the alternative. Labourâ€™s current lead is simply not sufficient to indicate that they are likely to win the next election. The easy answer to this would be to blame the partyâ€™s Leader, Ed Milliband. His ratings are generally poor, despite a shift upwards at the height of criticism of News International. Worse, from his point of view, they are usually worse than those of David Cameron. When asked to choose which candidate would make the best Prime Minister, voters choose Cameron by substantial margins. Notably, Yougov, which generally gives Labour its best ratings, tends to find that the Labour lead disappears completely when panel members are asked to choose between a Conservative government led by Cameron, and a Labour government led by Milliband. Yet, I think it would be unwise for Labour to conclude that a change of leader would be the magic bullet that would guarantee them victory. The Conservatives chopped and changed leaders regularly during their years in Opposition, to no effect. In truth, Milliband is not obviously a bad leader. Apart from the appointment of Phil Woolas, he has not made any notable errors. It is difficult for any Opposition leader to gain publicity, and very easy for a Prime Minister to do so. Neither Margaret Thatcher nor Clement Attlee were particularly able leaders of the Opposition, but both were highly successful Prime Ministers. To my mind, the economy is a far bigger problem for Labour. Most voters (including many Labour voters) consider that the last government handed over an economy in dreadful shape. One recent Yougov poll found that five times as many voters blamed Labour for the current state of the economy as blamed the Conservatives. Voters are far readier to blame Labour for the current cuts in public spending than to blame the government. 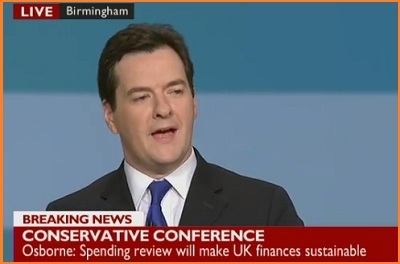 None of this means that the governmentâ€™s policies on the economy and public spending are popular. They are not at all popular, but they are regarded as necessary, and in any case, they are widely seen as the fault of the previous government. Most striking is the fact that George Osborne, an unpopular figure with the public, is still more highly rated by voters than his Labour Shadow, Ed Balls. Labourâ€™s difficulty is that bad economic news is not being blamed on the government. Moreover, its argument that it would reduce the public sector deficit at the same time as cutting VAT, and opposing many of the cuts in public spending, does not come over as credible to floating voters. Governments canâ€™t go on blaming their predecessors for ever. Sooner or later, the voters expect them to improve things. Luckily for the government, however, public expectations are so low that the government does not need to achieve very much in order to gain credit among the public. We may be facing a situation similar to that of the 1930s, in which the public fixed blame for the Great Depression firmly on Labour, and the National Government was seen as the only economically competent choice. How much potential is there for Labour progress? Regular readers of this blog will know that I regard local by-election results as being a good lead indicator of the next round of local elections. Despite having gigantic opinion poll leads from 1997-2003, the last Labour government regularly lost ground in successive rounds of local elections, during that period. Local by-elections pointed to these losses, whereas national opinion polls did not. The point should be obvious. National opinion polls are snapshots of voting intention in national elections, not local elections. For a variety of reasons, governments tend to struggle in mid-term local elections. Their supporters tend to stay at home, while opponents are motivated to go out and vote. Itâ€™s also worth noting that by the time a party gets into government, it is usually defending local council seats that it won while its opponent was in government, and which are well outside of its natural territory. How have the parties been faring since the election in May? The answer is, very variably. Since the beginning of June, there have been 24 seats contested by the three main parties, in seats that were last contested in 2007. In those seats, the Conservative vote share has fallen on average by 4%, the Labour vote share has risen by 3%, on average, and the Liberal Democrat vote share has remained unchanged. The Conservatives led Labour (in terms of projected national vote share) by 13% in 2007, so this would imply a Conservative lead of about 6%, a good position for a party of government to be in. However, in seats that were last contested in May of this year, a very different picture emerges. There have been 26 of these seats in which the three main parties have stood. In these, the Labour vote share is up 7% on average, compared to May, the Conservative vote share is down by 6% on average, and the Liberal Democrat vote share is down by 5% on average. The Conservatives led by 7% in May, and a swing of this magnitude would imply a Labour lead of about 6%, a far better position for Labour to be in. What accounts for such a discrepancy? One small factor is that some Conservative councillors who were elected in May have had to resign in controversial circumstances. 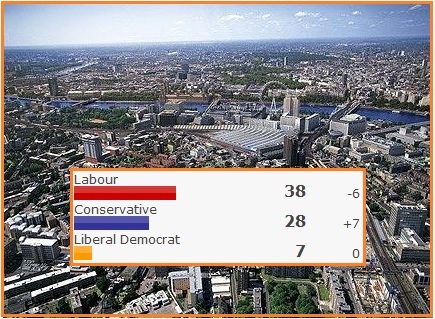 But of far greater significance is that the seats that were last contested in May are almost all in London Boroughs and large urban centres, exactly the sorts of areas where Labour performed most strongly in the General Election. By contrast, the seats that were last contested in 2007, are mostly in District and Unitary Authorities, rural areas, and small to medium-sized towns, where Labourâ€™s performance in the Election was weak. Given the emphasis that there has been on cuts in public spending, no-one should be surprised that Labour is performing best in big urban centres, where the benefits of public spending are most visible, and worst outside of these areas, where many people consider that they get very little in return for the taxes they pay. One thing that should be made clear is that the Coalition parties are not performing notably worse in the North of England than elsewhere. Ten of the seats that were last contested in May are located in the North of England. The Conservative and Liberal Democrat votes were each down 6% on average in such seats, and the Labour vote up by 10% on average in such seats. The significant split is urban/non-urban, not North/South. The problem for Labour is that the large majority of seats that come up in next Mayâ€™s local elections were last contested in 2007, in the District and Unitary Authorities. Many District Councils have all-out elections, next year, whereas no London Boroughs are being fought, and only one third of the seats in Metropolitan Boroughs outside London. If the by-election pattern persists, Labour will pick up low-hanging fruit in May, but their headline gains will be limited. Should we be challenging the current orthodoxy? Conventional wisdom has it that the Coalition will become extremely unpopular, once its announces the likely cuts in public spending on October 20th , and in particular, once they start to be implemented next year. According to Lord Ashcroftâ€™s recent survey, a majority of Labour members, and Union activists, are convinced that Coalition unpopularity will, on its own, be sufficient to deliver a Labour victory in 2015, although I doubt if that view is shared by the new Labour Leader. Government ministers are themselves braced for intense unpopularity, although they hope that an improving economic and financial situation will deliver victory in 2015. Firstly, the cuts have been oversold. Public spending is projected to rise between now and 2015 in cash terms, and to fall by about 3% in real terms. That will put pressure on budgets, but is well short of the kind of swingeing cuts that are currently taking place in countries such as Greece and Ireland. Due to the ring-fencing of Health, Overseas Aid, the EU budget, and, to an extent, Defence and Education, other departments will face sharper cut backs, which will certainly create losers, but perhaps relatively little in the way of widespread public anger. To take one example, public sector workers in this country face a wage freeze; in Ireland, they face pay cuts of up to 15%. Secondly, itâ€™s clear that most voters see public spending cuts as being inevitable. For example, Ipsos-MORI recently found that 57% supported cuts in public spending to reduce the deficit, compared to 37% who opposed them. Likewise, a recent Yougov survey for the Fabian Society found that 46% thought that the Conservatives had the best policies for reducing the deficit, compared to just 19% who thought that Labour had. Overall, pollsters have found a very high degree of support for the Coalitionâ€™s economic, and deficit-reduction, policies. That could all change, once people learn what items are specifically being cut. However, what struck me about this weekâ€™s proposed change to Child Benefit was how little resonance the anger from some sections of the media generated among the public at large. There is some unhappiness about the sharp cut-off, and the anomaly whereby two-income households might retain the benefit, while one-income households might lose it, but in general terms, the public seem pretty relaxed about the change. Thirdly, there is evidence that even now, far more people blame the last government for the intended cuts than blame the current one. Yougov has consistently shown that twice as many blame Labour for the cuts as blame the Coalition. This suggest that even if there is real anger over the cuts, it may be Labour that has to bear the brunt of much of that anger. Sean Fear asks: Why did the Tories fall short in London? Are there lessons for next time? Labourâ€™s relatively strong performance in London was one of the most surprising outcomes of the general election. Prior to this election, Yougov had had an excellent record of predicting election results in London, and were forecasting a swing of 5-6% in favour of the Conservatives. On the day, the swing was just 2.5%. Overall, the outcome was not as bad for the Conservatives as it might have been. The party picked up some of its target seats, such as Harrow East, Richmond Park, and Hendon, on swings that were well above average. In addition, they won 11 councils, and 727 council seats in the local elections, despite finishing 2% behind Labour, compared to 8 councils, and 665 seats in 2002, when they finished 1% ahead of Labour. That implies that the party was able to hold on to support in a number of key marginal wards. Nevertheless, the Conservatives could easily have won another seven or eight London constituencies, had the swing in the Capital matched the swing across the Country as a whole. One assumption is that ethnic minority voters turned out in unprecedented numbers for Labour, and this was just not picked up by conventional polling techniques. On reflection, I consider this unlikely. Labour certainly picked up huge support among ethnic minority voters in Newham, and Hackney, but at the same time, some of the biggest swings to the Conservatives came in seats like Ealing Southall, and Harrow East and West, which have very big Asian populations, and where there are Asian Conservative councillors. This is clear too, at ward level. According to David Boothroyd, if one compares the Mayoral election of 2008 (a very racially polarised contest) with Mayâ€™s local elections, then some of the biggest swings to the Conservatives were in Ealing Southall, and Bethnal Green and Bow. Conversely, some of the biggest swings to Labour were in white working class wards in Barking & Dagenham, Havering, Greenwich, and Bermondsey. While I donâ€™t doubt that Labour will have comfortably led the Conservatives among Londonâ€™s ethnic minority voters, that lead will have been less than in 2008, when the Conservatives had a substantial lead across London. In my view, it is the (mostly white) suburbs that are the key to the Conservativesâ€™ underperformance in London. Taking the period 2001-10 as a whole, there has been a big swing to the Conservatives across London, of 7.5%, in line with the swing across the country as a whole. However, between 1992, and 2001, Labour did substantially better in London than they did across the country as a whole, and nowhere did they do better than in the Suburbs. Seats that would never have been considered remotely in danger, such as Finchley & Golders Green, Enfield Southgate, and Harrow East and West were lost on huge swings, as middle class voters switched to Labour in droves. Even very safe Conservative seats, such as Ruislip, Croydon South, Old Bexley & Sidcup, and Beckenham, saw enormous swings to Labour. In most cases, such seats saw further small swings to Labour, in 2001, as voters rewarded Labour for the performance of the economy in their first term. The Conservatives havenâ€™t come close to making good their underperformance in Suburban London in the 1990s, even though they have regained some ground. There is a general trend, in the United Kingdom, and other Western countries, for urban middle class voters to move leftwards, even as other sections of the population move rightwards. Not only are many such voters employed in the public sector, but the benefits of public spending are much more visible in big cities than they are in small towns and rural areas, where people see themselves as getting very little back in return for their taxes. 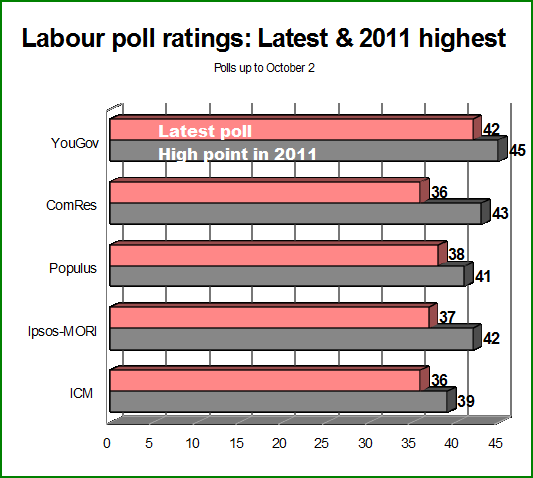 This doesnâ€™t explain, however, why Yougovâ€™s London polling was so inaccurate. The urban middle classes should be one of the easiest sections of the population to poll accurately. If the election is running to plan then the first ballot papers should be going out to qualified voters in the three sections of the electoral college at the end of next week. So far the only firm polling evidence has been the single YouGov survey of party members and those trade unionists who are qualified to vote – but that is now nearly a month ago. A lot has happened since the end of July. I’m continuing to maintain balanced positions on both DaveM and EdM and I’m well covered if one of the others sensationally stages a recovery. So whatever happens September 25th is going to be a nice pay-day. The EdM campaign is the only one that is keeping me informed and it say that the telephone canvassing of union members has been producing a good reaction. Who really knows? With a bit of luck there should be a new YouGov poll of eligible voters in the next week or so. Why aren’t they in open revolt? There is a widespread view that the Right of the Conservative Party loathe the Coalition with the Liberal Democrats, after the Conservativesâ€™ failure to win an overall majority on May 6th, and will be looking to break up the Coalition as soon as they can. Certainly, Right wing Conservatives have gained fewer ministerial posts than they could have expected, had the Party won enough seats to govern on its own. Likewise, cherished policies such as seeking the return of powers from the EU, replacing the Human Rights Act, tax breaks for married couples, and slashing inheritance tax have either been shelved, or put on the back burner. Commentators like Simon Heffer, Peter Hitchens, and Melanie Philips never lose an opportunity to castigate the Conservatives and accuse them of betrayal. But the vast majority of Tory supporters are happy. The latest Yougov survey, 85% of Conservative voters approve the Coalitionâ€™s record to date, while 4% oppose it; an extraordinary 98% of Conservatives approve of Cameronâ€™s record as Prime Minister, while 1% disapprove. Of course, Conservative voters are not necessarily the same people as Conservative members, and not all Conservative voters are on the Right of the Party. That said, it is most unlikely that Right wing Conservativesâ€™ attitudes are all that different from Conservative voters as a whole. Even if, say, â€œonlyâ€ 70% of Right wing Conservatives support the Coalition, thatâ€™s a very high measure of support. So, why arenâ€™t the Right unhappy with the Coalition? Firstly, there comes a point when one gets sick of losing. Purity of principle is all well and good, but when one gets repeatedly defeated, its charms begin to fade. In the early years of Opposition, itâ€™s easy enough to refuse to compromise. As time goes on, one starts to appreciate that 50% of something is preferable to 100% of nothing. Secondly, the economic crisis has concentrated minds. I, and Iâ€™m sure plenty of other Right wing Conservatives, were impressed by the violence in Greece, in the run up to the general election. It occurred to me that even if the Conservatives were to win a small overall majority, it would be hugely difficult to push through the necessary cuts in public spending, without very broad political backing. The fact that the Coalition has the backing of parties that won 61% of the vote between them, makes it far easier for the government to cut, than if it had won a bare majority of the seats on 37% of the vote. I doubt if I am the only Right wing Conservative who is thinking along these lines. Finally, viewed objectively, this is shaping up to be a remarkably radical government. In the post-war period, itâ€™s hard to think of any government, in any Western country, that has been so determined to shrink the State, except possibly the Labour government in New Zealand that was dominated by Roger Douglas. When Nick Clegg said that the cuts wouldnâ€™t be like those imposed by Margaret Thatcher, he was correct; Margaret Thatcher would never have dared to introduce the sort of cuts that George Osborne intends to make. If the Coalition is successful, then post-War social democracy will cease to be a viable political philosophy in this country. What Right wing Conservative could be unhappy about that?